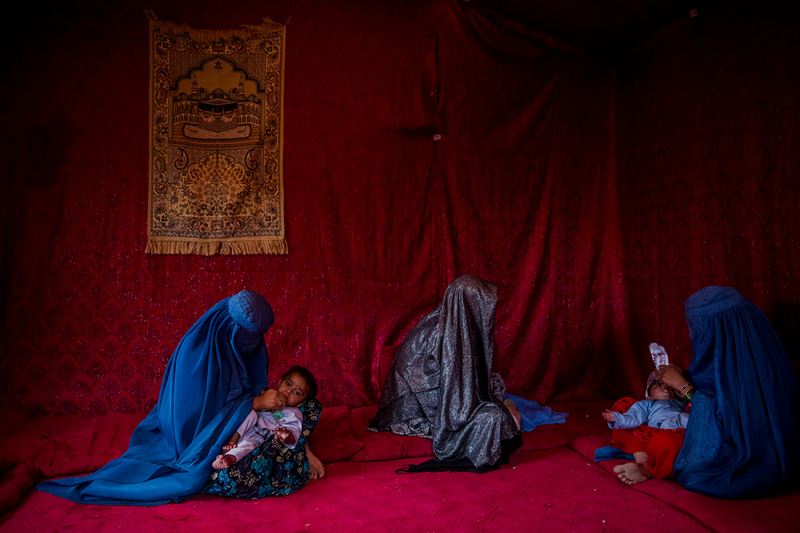 photographer Daniel Berehulak visting Inpatient Therapeutic Feeding Centre (ITFC) wards, at the Bost Hospital, a Medecins Sans Frontiers (MSF) assisted hospital in Lashkar Gah, in Helmand Province, Afghanistan. I was on assignment in Africa for six weeks. 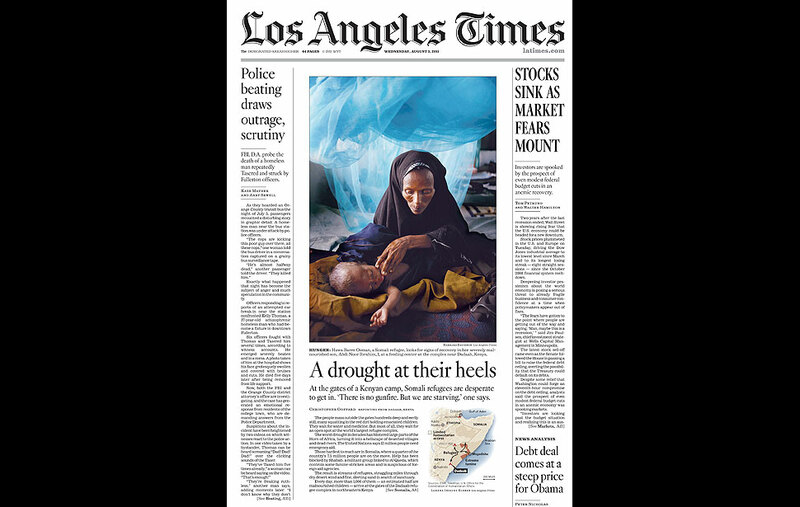 The famine was not a story that we had originally planned to cover, but when I arrived in Kenya and read about the plight of the Somalian refugees who walked some 200 miles looking for food and safety, I contacted my editors who agreed we needed to tell their story. After a couple of weeks of “permit”-gathering, a drill the Kenyan government makes all visiting journalists go through, I was on a plane to Dadaab, near the border of Kenya and Somali, home to the world’s largest refugee camp with 372,000 people, more than four times its original capacity. 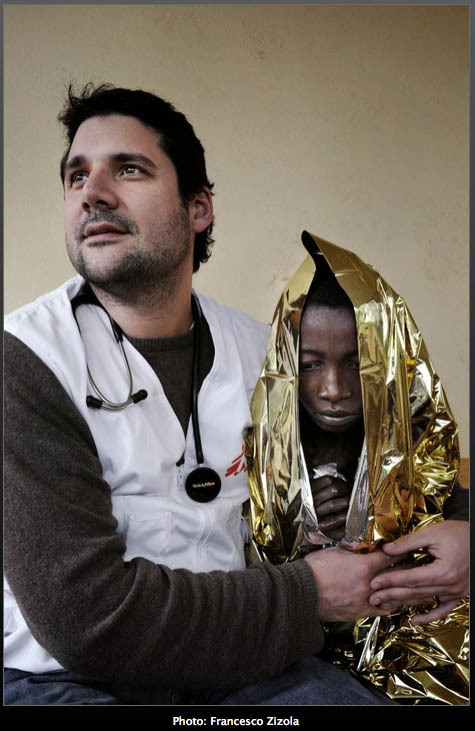 The front page photo of Hawa Barre Osman looking for a signs of life from her 1-year-old severely malnourished child, Abdi Noor Ibrahim, was made inside the small Médecins Sans Frontières therapeutic feeding center at their Hospital in the Dagahaley refugee camp. 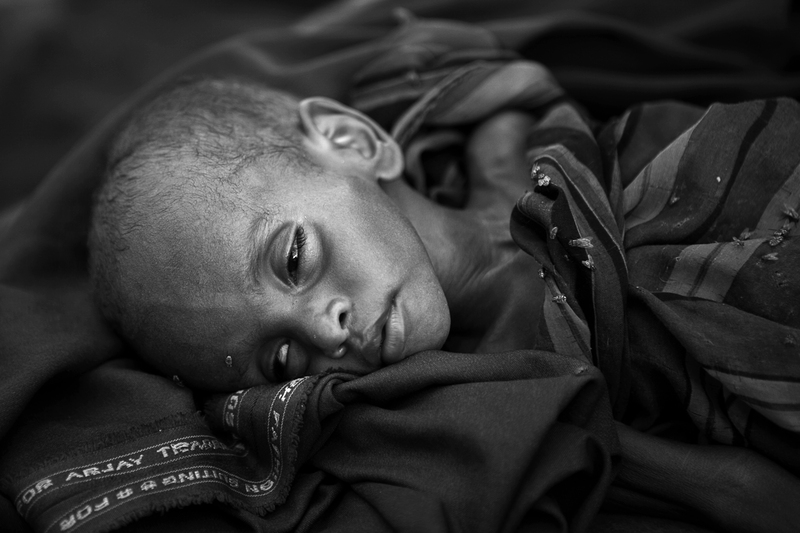 Over 16,700 severely malnourished patients, mostly children, have been cared for so far in MSF programmes in Oromiya and SNNP regions of Ethiopia. Among them, 2,071 children suffering from medical complications were admitted to five stabilisation centres where they received 24-hour medical attention. Another 14,700 severely malnourished children have received nutritional treatment and food rations on an ambulatory basis in a network of 44 outpatient therapeutic programmes (OTP). Supplementary food rations made up of a corn and soja blend with oil and sugar have also been provided to 1,700 moderately malnourished children and their families. 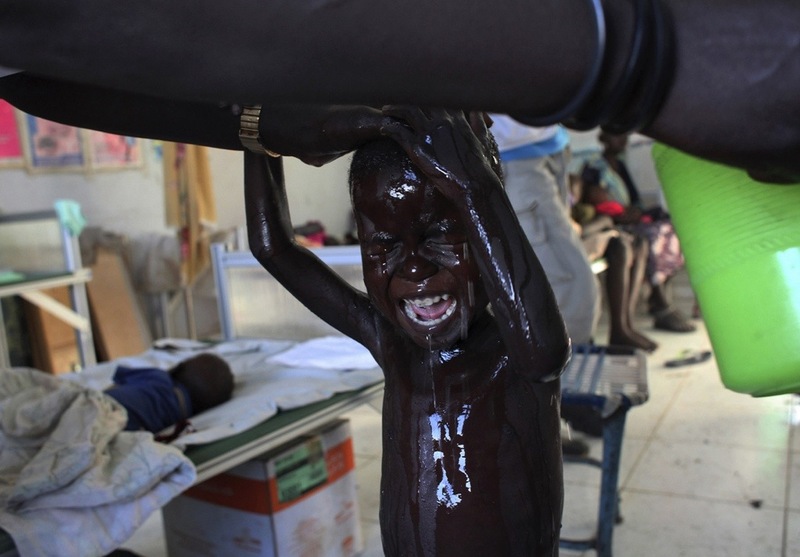 In Burkina Faso, malnutrition is at its annual peak and MSF is responding. Known as the hunger gap, rural malnutrition recurs seasonally when crops are scarce and the 80 percent of Burkinabe who depend on substance farming lose their primary source of nourishment. 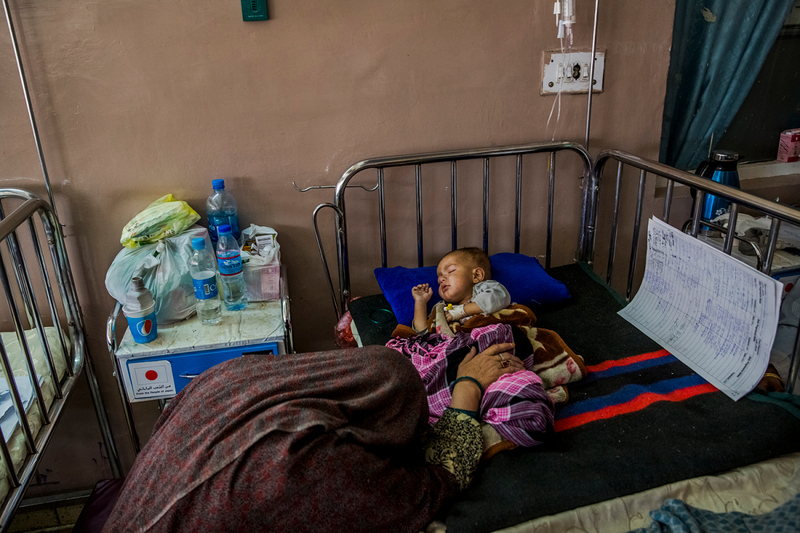 In Yako as well as in Titao, only the severely malnourished children with complications are hospitalized in therapeutic feeding centers (TFC / TFC), Others are supported by external consultation in health centers. 1 million of Somalis have been on the move within the country and crossing the borders fleeing the humanitarian crisis that ignited earlier this year. 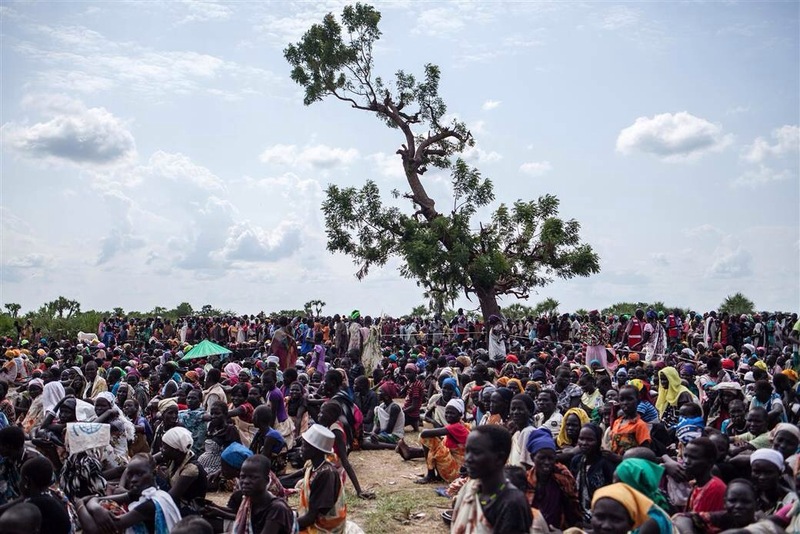 Civil war, violence, lack of development, lack of relief assistance, and the impact of global warming have made these people extremely weakened, and malnourishment and opportunistic infections are rife. 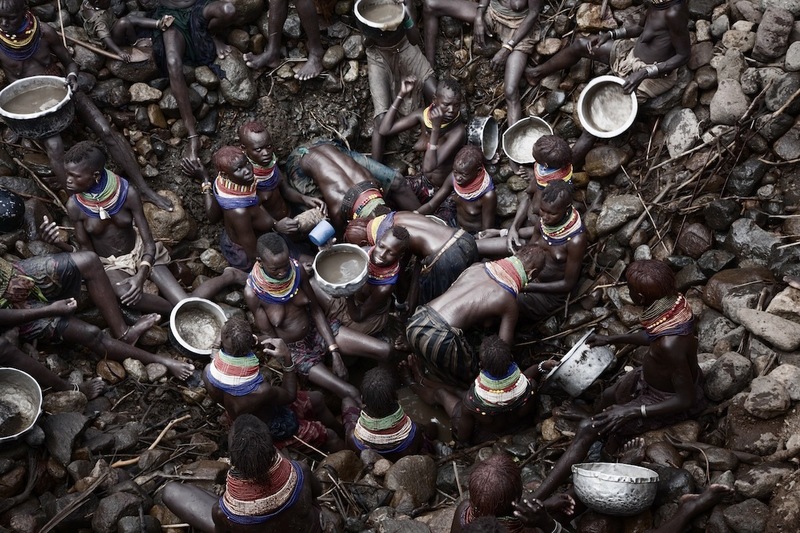 This set of picture document them crossing the border into Ethiopia in search of relief.